However, the authors pointed out, while there have been many studies assessing the risk of CHDs associated with maternal passive smoking and paternal active smoking, the results have been inconsistent. Moreover, they pointed out, reviews of studies investigating the relationship between smoking and CHDs in offspring have focused primarily on maternal active smoking, “… and considered neither the relationship between maternal passive smoking and CHDs nor the relationship between paternal smoking and CHDs … In fact, maternal passive smoking and paternal smoking are more common than maternal active smoking.” Also, prior reviews haven’t considered the exposure time of smoking. “The critical stage of fetal heart development occurs in the early stages of pregnancy. Therefore, it is very important to focus on the association between parental smoking before pregnancy or in early pregnancy and CHDs, which may help to explain causality,” Qin’s team stated. 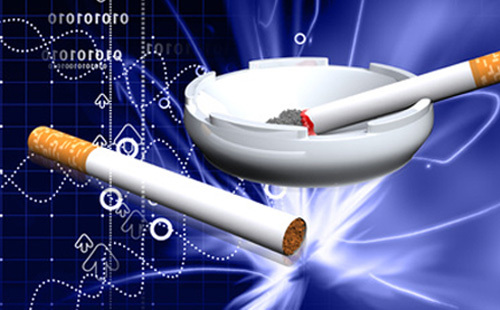 To try and provide a more comprehensive evaluation of the effects of smoking on CHD in offspring, the team designed an updated meta-analysis of observational studies to assess the link between maternal active and passive smoking, as well as paternal active smoking, on different types of CHDs. They identified 125 eligible studies published between 1971 and 2018, involving 137,574 cases of CHDs and 8.8 million prospective parents. The results of their analyses indicated that, when compared with no exposure to cigarette smoke, all three types of parental smoking were associated with an increased risk for CHDs in offspring. “Our results suggested maternal passive smoking and paternal smoking were also significantly associated with risk of fetal CHDs, which has not been confirmed by previous meta-analyses,” the team wrote. The greatest risk of CHD risk was associated with maternal passive smoking. “Findings from the present meta-analysis indicated that parental smoking was significantly associated with risk of CHDs in offspring, with an increased risk of 25% for maternal active smoking, 124% for maternal passive smoking, and 74% for paternal active smoking, compared with those with no smoking,” the authors reported. Interestingly, the link between CHD risk and all types of parental smoking was higher when the analysis was constrained to Asian populations. When looking at different types of congenital heart defects, the researchers’ analyses also indicated that maternal smoking was associated with a 27% increased risk of atrial septal defect, and a 43% increased risk of right ventricular outflow tract. “… our review did not find statistically significant differences for risks of other CHD subtypes between comparison groups,” the researchers wrote. They were also unable to assess the relationship between either maternal passive smoking, or paternal active smoking and CHD subtypes because there were too few studies on each type of CHD. The scientists suggested that their review represents the most up-to-date on the topic, and its large sample size provides more precise and reliable risk estimates than prior studies. It is also the first review to investigate the effects of smoking at different stages of pregnancy on the risk of CHDs. These data indicated that a woman’s exposure to someone else’s cigarette smoke even prior to pregnancy put her unborn child at risk of developing a CHD. In contrast, while the offspring of women who smoked during pregnancy were at an increased risk CHD, maternal active smoking before pregnancy didn’t’ affect the CHD risk.